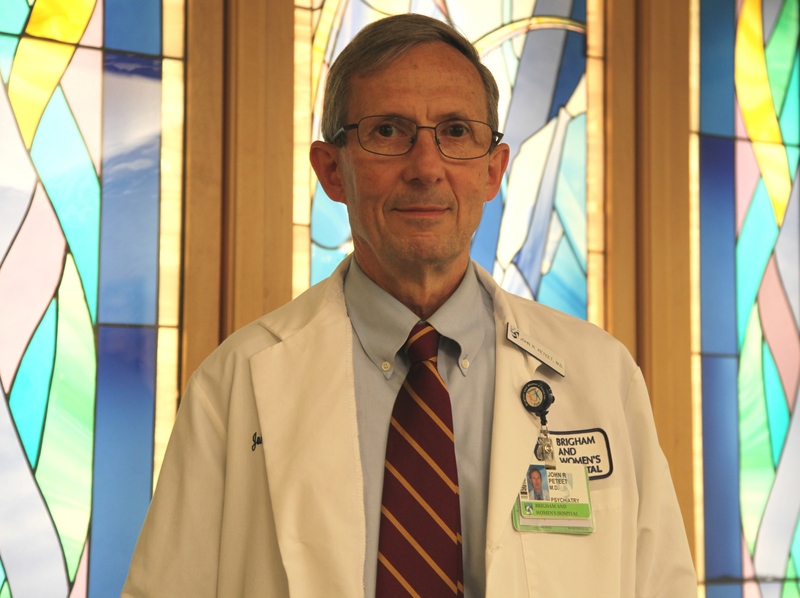 BWH and Dana-Farber Cancer Institute psychiatrist John Peteet, MD, says that in the past 20 years, the field of psychiatry has shifted, namely in terms of its tendency to steer clear of religion and spirituality. Peteet, who joined the Brigham as a fellow in 1977, attributes the change to a number of factors. The first is growing research on health outcomes and the potential benefits of integrating religion and spirituality into the treatment of depression and other psychiatric diseases. According to Peteet, the notion of “12-step spirituality,” a program designed for recovering addicts; the integration of mindfulness into the mainstream; and a growing interest in holistic and integrative care among the general population are also likely leading to the more recent acceptance. Peteet has been interested in the intersection of psychiatry, religion and spirituality for his entire career. He has worked with patients battling addictions, and often sees patients living with cancer who are reflecting on the end of life and want to talk about their faith, or lack thereof. While religion may seem a straightforward term, spirituality can be far more elusive. Peteet defines it as a connection with something larger than oneself that gives one’s life meaning. For some people, this may be religion—a relationship with a tradition of faith or organized institution. Increasingly, for others, beauty or nature may serve this role. Spirituality is a broader concept than religion, he says, and it is harder to study. Peteet has given several presentations on his work, including at the American Psychiatry Association national conference in May. He also teaches and trains Harvard medical students and fourth-year Psychiatry residents about spirituality in medicine. “We discuss the relationship between their faith and their work,” said Peteet, who describes the notion of integrating faith in three parts—integration within the clinician, integration within his or her practice, and integration among disciplines. The first involves physicians reflecting on how their faith informs how they practice and deal with stress. The second involves physicians talking with patients about their spiritual concerns. For example, a patient may voice confusion about how God could let an illness happen to them and may need help dealing with existential and spiritual distress. The third type of integration occurs among disciplines—for example, psychiatrists working with hospital chaplains, who are already having these types of conversations with patients. In his teaching, Peteet seeks to convince trainees that it is natural and acceptable to have these important and challenging dialogues. But rather than avoid these topics out of fear, Peteet encourages clinicians to view them as areas to explore thoughtfully as opportunities for learning and listening.